DIRECTOR Mahadi J. Murat states at a recent interview that he finds women to be far more fascinating than men. "They are big in emotions. It is a known fact that girls mature faster than boys. As a result, women are always changing. They never remain the same. "[Any] married man ... will tell you that the woman he married is not the woman he fell in love with. So, a man needs to be smarter if he wants to keep up with the emotional pace of the woman he loves." That's why his films have a tendency to feature strong women characters. Of his earlier three films – Rosa-Roda (1985), Wanita Bertudung Hitam (1992) and Sayang Salmah (1995) – the last two have a strong female lead. As a filmmaker, Mahadi feels he has a lot more flexibility in the treatment of his story whenever he has a female character, and he finds a film poster with a woman's face attracts far more attention. Mahadi's latest film, Luqman, which is opening in cinemas tomorrow, may have a man's name as its title but the director insists that the story's subtext is about a woman. The film, which is Mahadi's fourth after over 20 years, was shot on a budget of RM500,000. Luqman centres on a poet named Luqman Hakim (Wan Hanafi Su), who is upset that the younger generation does not appreciate Malay literature. Things get worse when his much younger wife, traditional Malay dancer Ayu Kencana (Raja IIya), gets close to a handsome young graduate named Marwan Al Hadi (Josiah Hogan), who is doing a thesis on Malay culture. 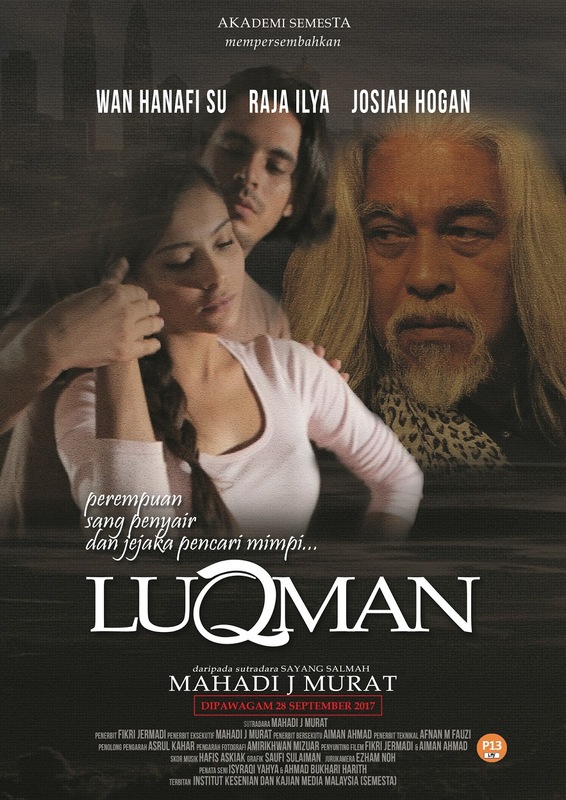 Luqman lives in fear of losing Ayu to Marwan. He wants Ayu to stop dancing, but she refuses. This conflict puts a strain on their once-happy marriage. Mahadi points out that Luqman's feelings go between love and jealousy, while Ayu has to choose between her passion for dance and her marriage. When asked which woman influenced his life the most, he says: "All the women in my life have played an important role, especially my mother." His mother passed away seven years ago, at the age of 90. She was not formally educated, and could only read Jawi. "Yet my mother was so wise," says Mahadi. "She taught me to accept and respect people for what they are, and not just look at their weaknesses and their mistakes. She believed humans are not complete beings." Mahadi also attributes his success to both his ex-wife (to whom he was married for 27 years), and his current wife. Both women are working professionals. "I always bounce my ideas off my wife," he says. "She would express her opinions. Sometimes, I listen to her and sometimes I do not. "For Luqman, my wife gave a few suggestions on [improving] some of the scenes." Though, Mahadi prefers to keep his age a secret, he does not hide the fact that the age gap between him and his current wife is more than 30 years. It is easy to jump to conclusion that Luqman could be loosely based upon his own life. Laughing, Mahadi says: "Some people have said that. But all I can say is that I did not put myself in the film." Mahadi, however, advises married couples not to take their relationships for granted, and that they should have one car, instead of two. "When you have two cars, you and your spouse take different paths," he says. "But when you have one car, you and your spouse are forced to take the same road. "You have to drop your spouse at his or her workplace, and you have to pick him or her up after work. You are likely to have dinner, or at least supper together." Mahadi confesses that he and his wife have two cars. But every Monday, they make it a point to drive to work in one car. When asked to name any famous women who have impressed him, Mahadi says: "Margaret Thatcher. She had a strong and determined personality. Her husband was always walking behind her. "Her situation was totally in contrast to our culture. Our women are encouraged to walk behind their husbands. "We have strong Malay women such as Rosmah Mansor and Siti Hasmah. But they always walk behind their husbands. "Personally, I believe a woman should not walk in front of her husband, neither should she walk behind her husband. She should be walking [beside] her husband." Mahadi does not hide the fact that there have been occasions when he walked behind his wife, just like Denis Thatcher. "Whenever we go to market together, she walks in front of me most of the time, as she makes the decisions on what to buy," he says with a smile. "But I have no problem with it. My wife is a great cook. Her food is delicious."